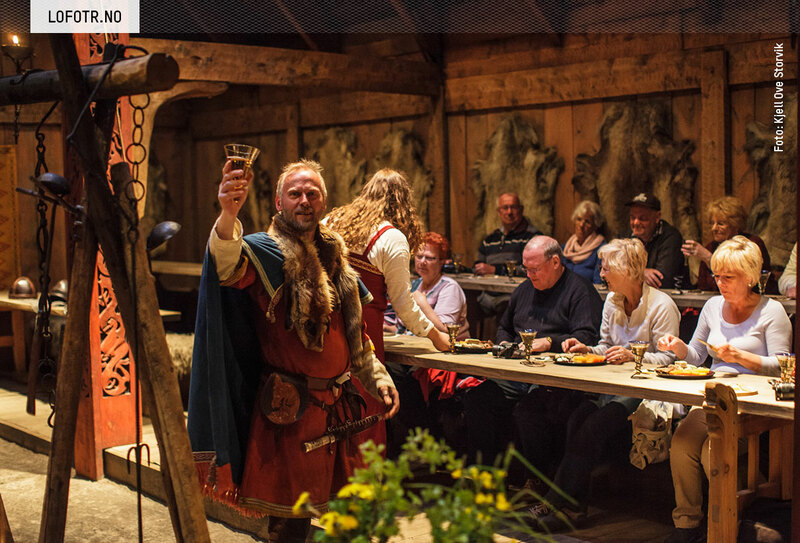 Eat and drink in the Viking way! Tasty fare. Flickering light from the oil lamps. 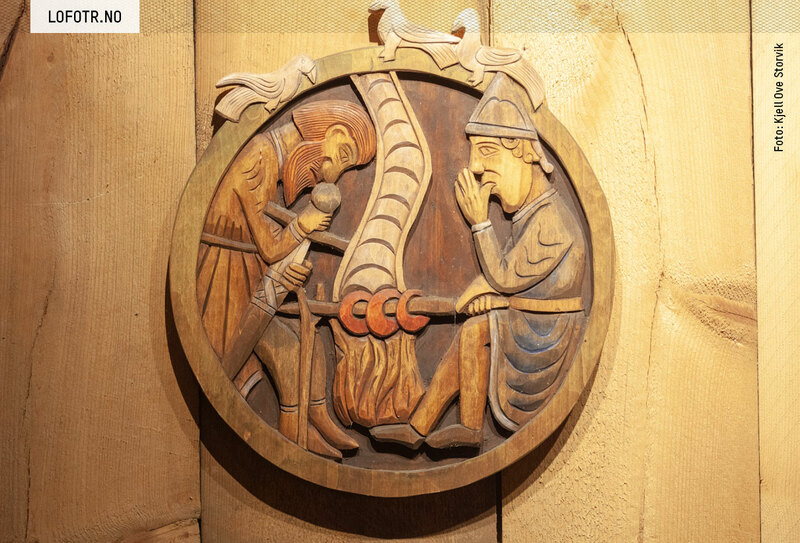 The smell of tar and an open fire, beautiful embellishments, and not least – the knowledge that you are on important historic ground, all of this will create the perfect setting for your culinary experience. 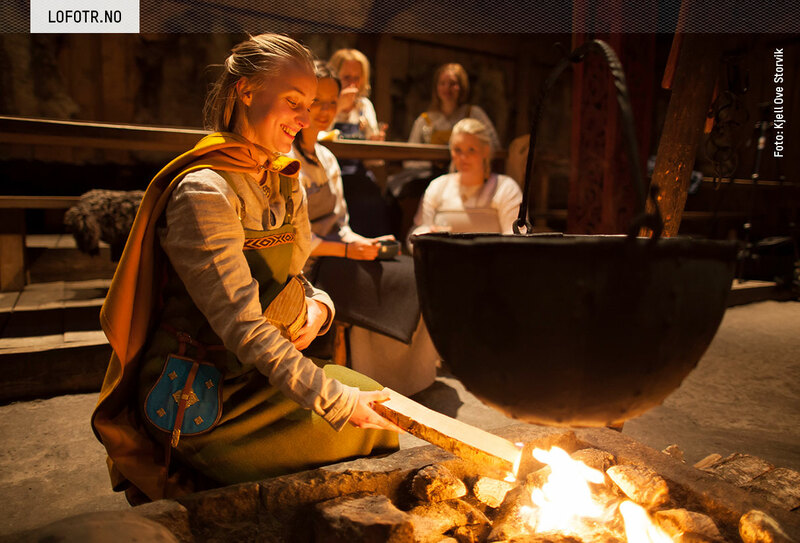 The food is prepared from ingredients known to the Vikings and served in the Viking way. In the Chieftain’s House, your senses and your stomach alike, will be filled to satisfaction. Choose from different menus. 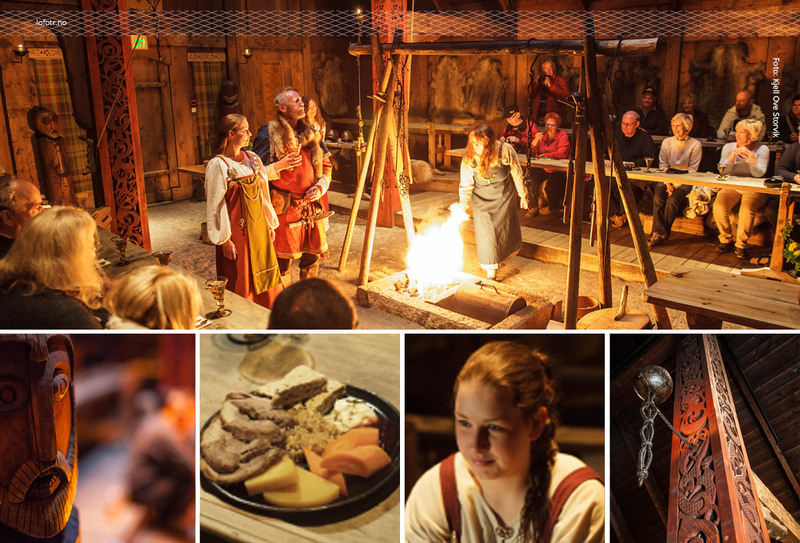 We serve food in the Chieftain’s House, either in the grand feasting hall or the more intimate living quarters. 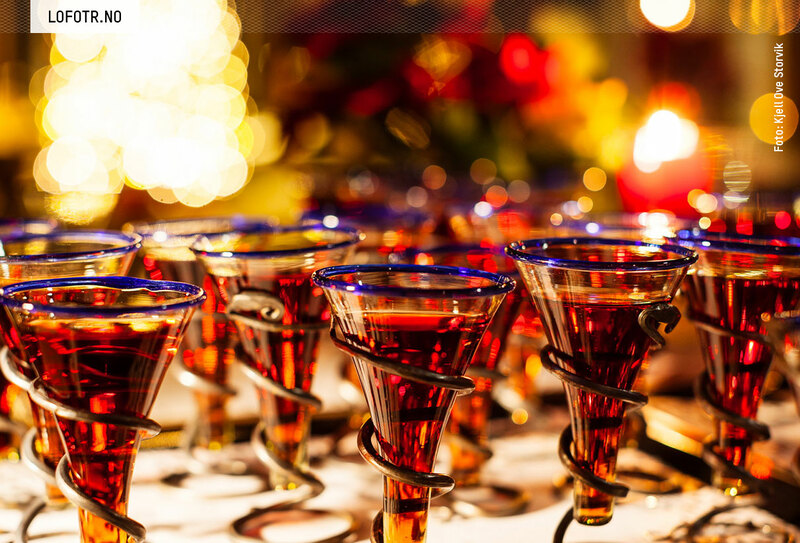 Depending on the menu, we can accommodate groups of up to 150-200 people. The feasting hall can seat about 90-100 people and the living quarters about 50. 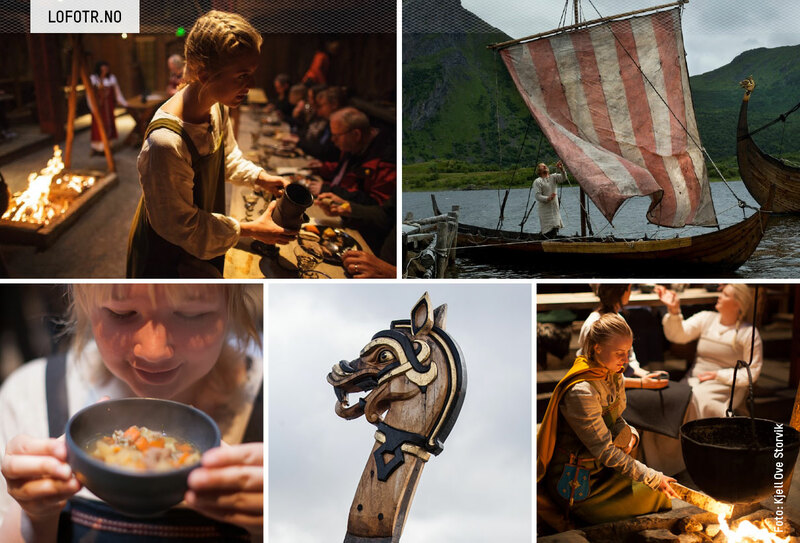 Meals are served by Vikings in magnificent, authentic dress. 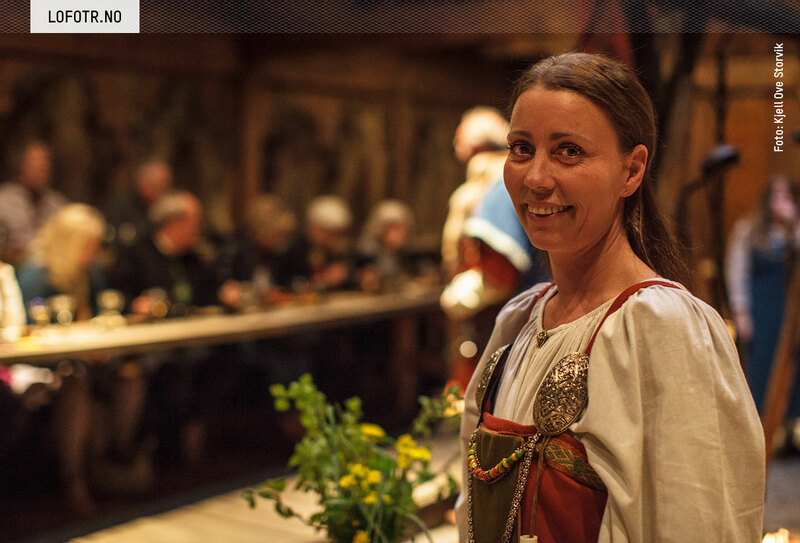 At Viking feasts, entertainment like song and dance are included, for other meals this can be booked in addition. All meals must be booked in advance. Notice of any special dietary needs must be given well in advance. We wish you welcome to a delicious experience in a different and authentic “restaurant” in Lofoten.